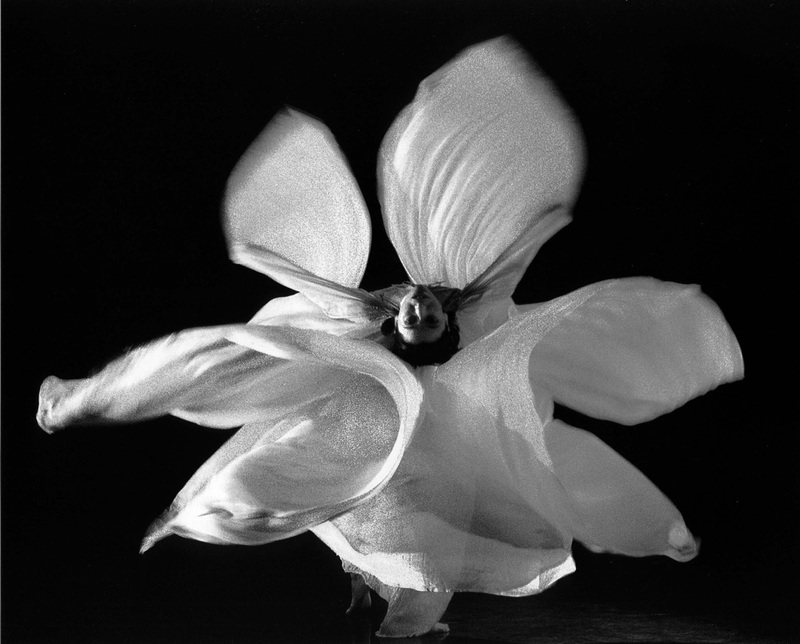 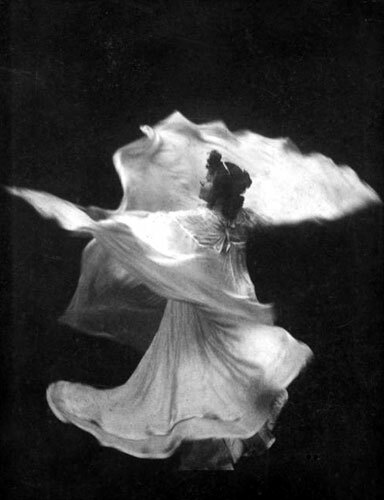 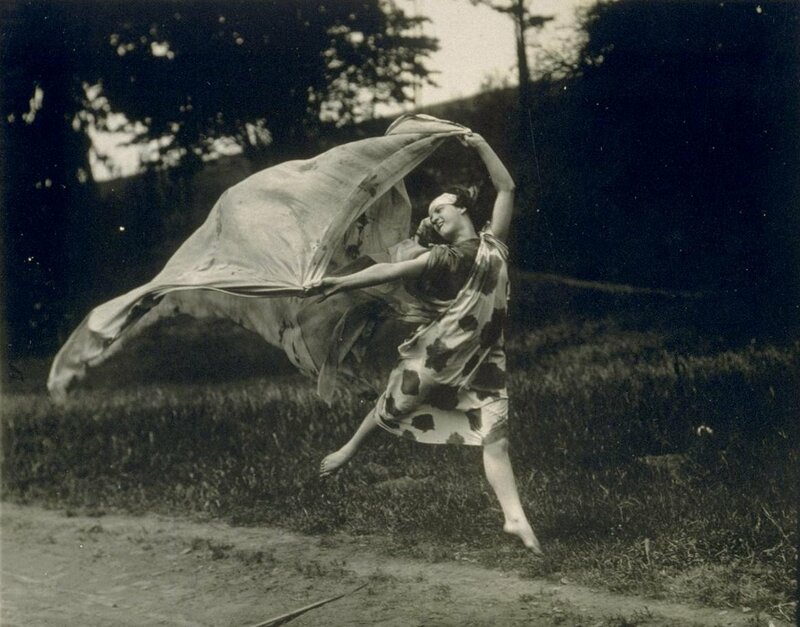 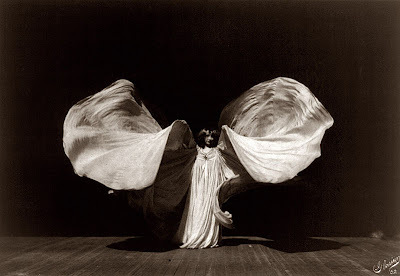 Born Marie Louise Fuller (January 15, 1862 - January 1, 1928) in Illinois, Loie Fuller was to become a pioneer of both modern dance, and lighting techniques. 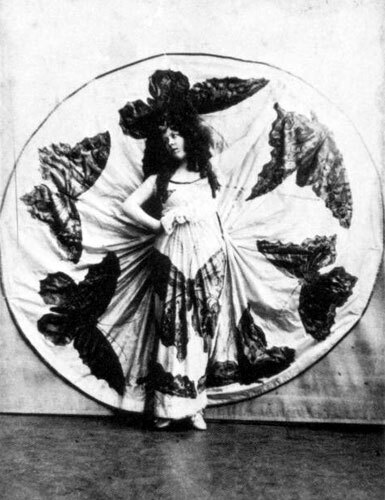 She started acting as a child, and later choreographed and performed dances in burlesque, vaudeville, and circus shows. 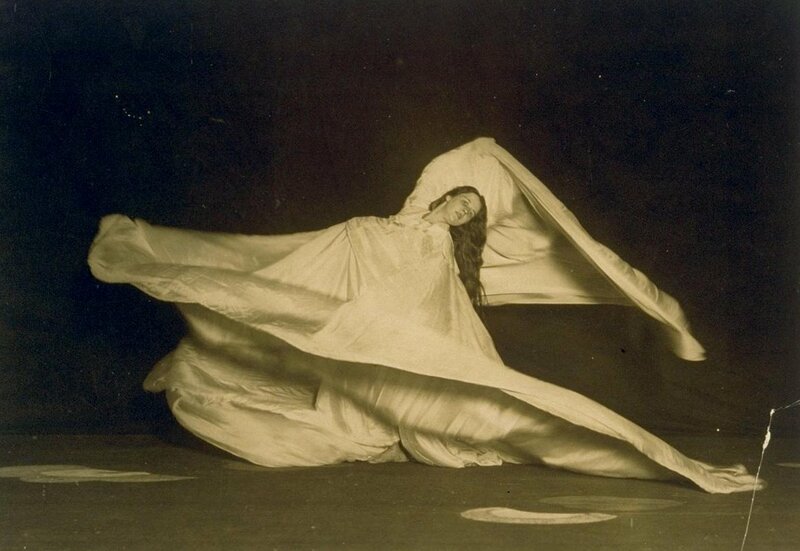 Fuller created her own way of moving freely, and often combined her choreography with flowing silk costumes, illuminated by multi-colored lighting of her own design. 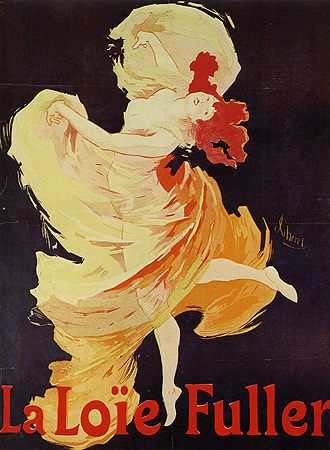 She became famous in America, but later moved to Paris, where she often performed at the Folies Bergère. 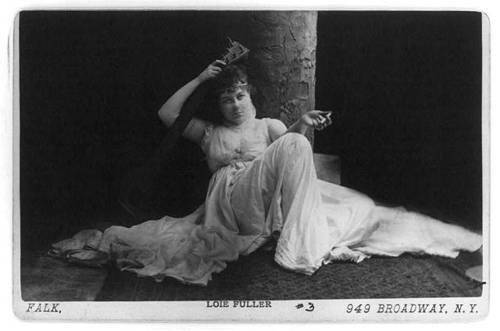 Her experiments to produce stage lighting, such as chemical compounds to make color-gel and the use of chemical salts for luminescent lighting and garments made her a holder of many new patents. It also gained her the respect and friendship of many French artists and scientists, such as Henri de Toulouse-Lautrec, Auguste Rodin, Stéphane Mallarmé, and Marie Curie. 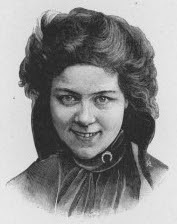 She died in Paris of pneumonia in 1928, aged 65. 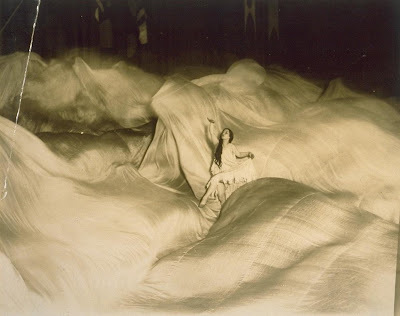 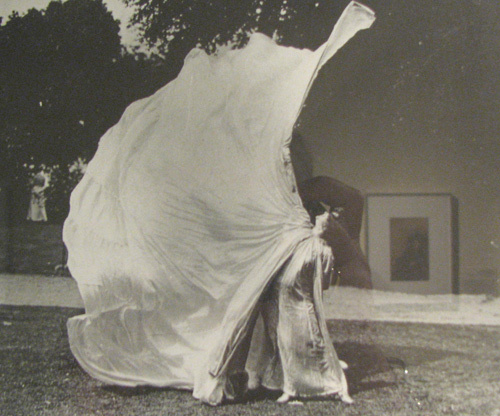 I love this Miss Meadows, Loie Fuller definitely seems like she was a pioneer of this kind of thing, great photos and thanks for teaching me all about her, it's great to go onto here and learn something new!